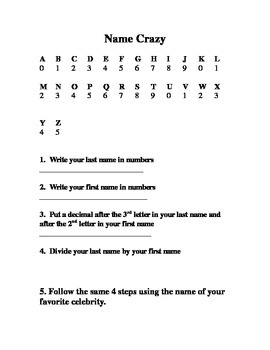 Name Crazy is a great activity or homework assignment for dividing decimals. Students follow the directions to turn their first and last names to decimals and then divide. I prompted students to round to the nearest thousandth. For lower level students, you may want to give them a short name to use.